A barrage of lengthy, pay per view quality matches fueled one of the best in-ring episodes of Monday Night RAW in years. The six-man tag match between Hell no, The Undertaker and The Shield will definitely find its way on the Best of RAW 2013 DVD. But don’t let that take away from the rest of the card. Between the resurgence of Chris Jericho as a viable top of the card talent and R Truth’s mini-push, there’s plenty to discuss in the WWE right now. 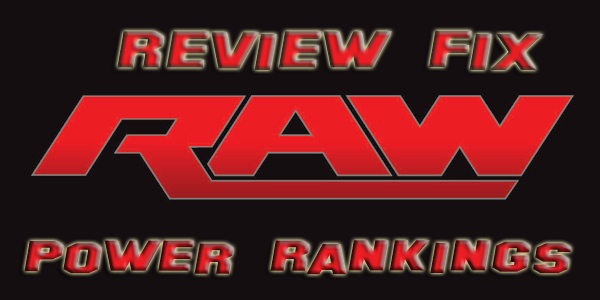 Check out this week’s Power Rankings to see who has the most leverage going into Extreme Rules. 5: Triple H: During the show’s first segment, “The Game” made his presence felt with a Pedigree on Paul Heyman. Agreeing to another match with Brock Lesnar, the WWE looks to continue to draw on the proven cash cow. The only question is, how long will people legitimately care about the angle? With no belt at stake and just a personal grudge holding the feud together, how will the angle develop? Right now, it’s all about Triple H getting even, but that won’t last for long. 4: R-Truth: Wow. After an unexpected win over Wade Barrett last week, who would have thought Truth had another shocker in him? Add in the Michael Cole love (kind of corny, but effective in showing they’re trying to put Truth over) and it’s easy to see that Truth is in the middle of a push. Although it’s not clear how big it’ll be, Truth definitely has a place on RAW over the next few weeks. 3: Hell No: Daniel Bryan alone had a wonderful night in the ring. The chemistry Bryan, Kane and The Undertaker is more than solid. The English crowd loved the three faces and rallied behind them every chance they could. They just need someone to defend their titles against. 2: Chris Jericho: Easily Y2J’s best match since his return. If not for Fandango’s music, Jericho would have been in the World Title match at Extreme Rules. Regardless, Jericho still has a plethora of value on the roster. In addition to looking fantastic in the ring this week on RAW, he made World Heavyweight Champion Dolph Ziggler look even better. 1: The Shield: Dean Ambrose is money on the mic. Seth Rollins is multi-talented- the type of guy who can be a fantastic Intercontinental champion if given an opportunity. Roman Reigns is a monster with a great look. This week on RAW, the young heel faction sold more than anything else, but they made Hell No and The Undertaker look amazing. Regardless of if they win or not, The Shield are an unreal force.